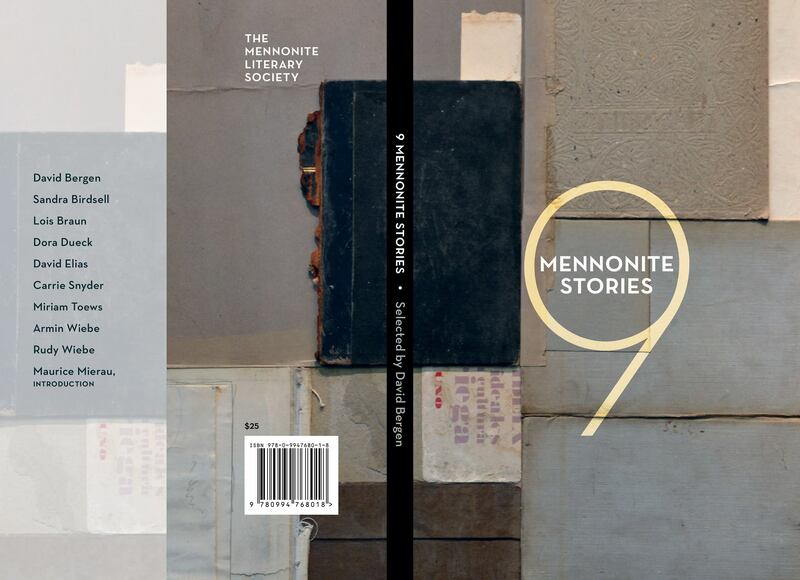 “Mask” is included in the Rhubarb Anthology, Nine Mennonite Stories, selected by David Bergen. I’ll be reading at the launch in Winnipeg. 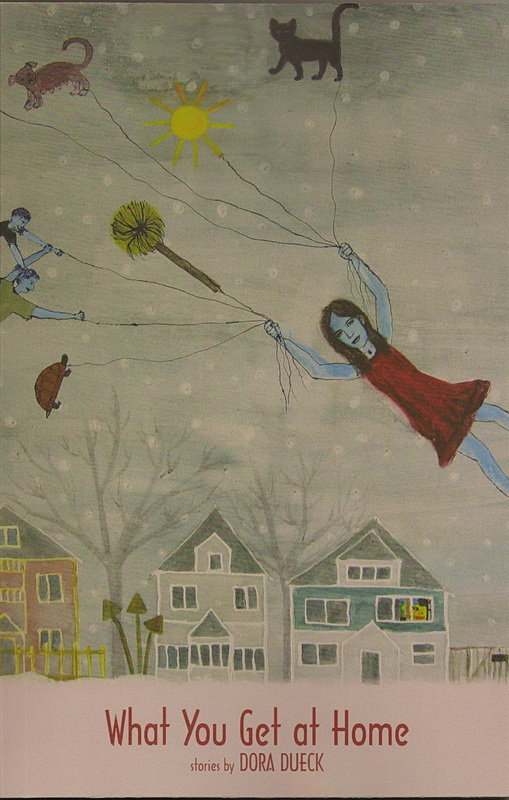 The Malahat Review congratulates Dora Dueck of Winnipeg, M.B., whose story “Mask” has won the 2014 Novella Prize. Dora’s entry was chosen from 221 submissions by our three final judges, Pauline Holdstock (North Saanich), Greg Hollingshead (Toronto), and Ann Ireland (Toronto). Dora was awarded $1,500 in prize money, and her novella will be published in the Summer 2014 issue of The Malahat Review. An interview with Dora Dueck on her Novella win will be published in the June edition of Malahat lite. My most recent book, a collection of short fiction called What You Get at Home (Turnstone Press) was launched October 2 in Winnipeg. (See more at “What You Get at Home” page on this blog.) It landed on the Winnipeg’s “Best of the best” list for 2012 and McNally Robinson’s top 10 Manitoba bestsellers, and was the winner of the High Plains Award in the short story category. Winner of the 2011 McNally Robinson Book of the Year Award and shortlisted for the 2011 Margaret Laurence Award for Fiction at the Manitoba Book Awards. Under the Still Standing Sun. A novel by Dora Dueck. Kindred Press, 1989. 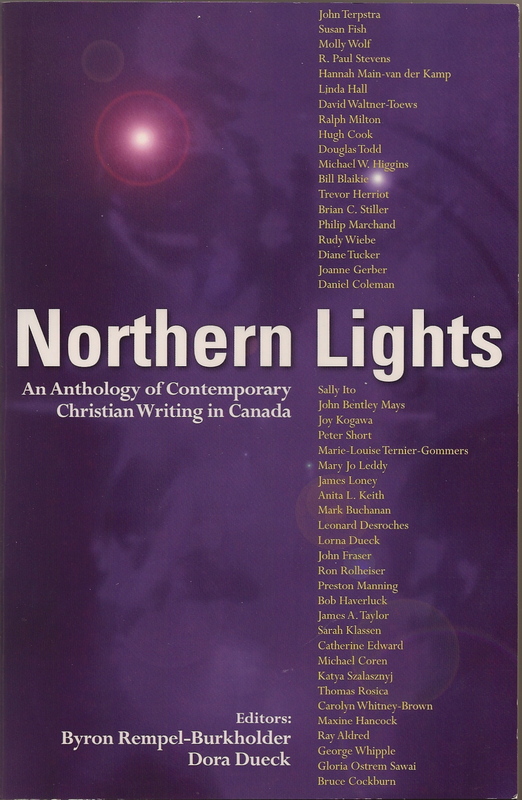 Northern Lights: An Anthology of Contemporary Christian Writing in Canada. 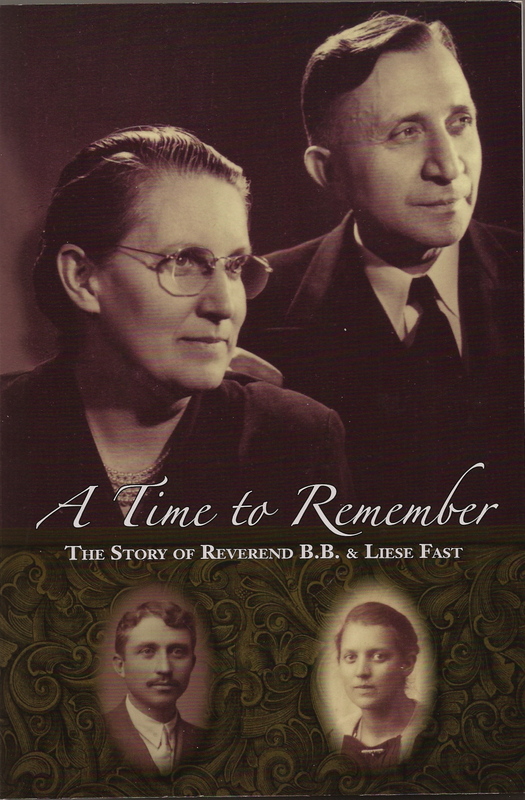 Co-editors: Byron Rempel-Burkholder and Dora Dueck. Wiley Canada, 2008. 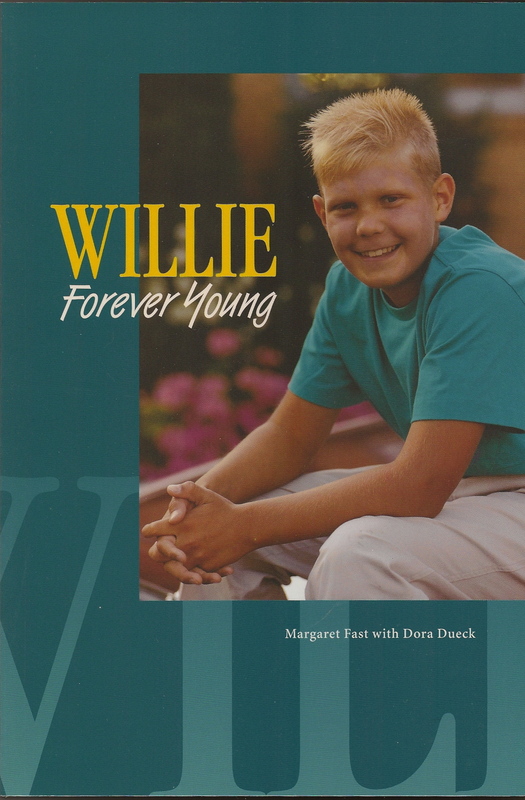 Willie: Forever Young. 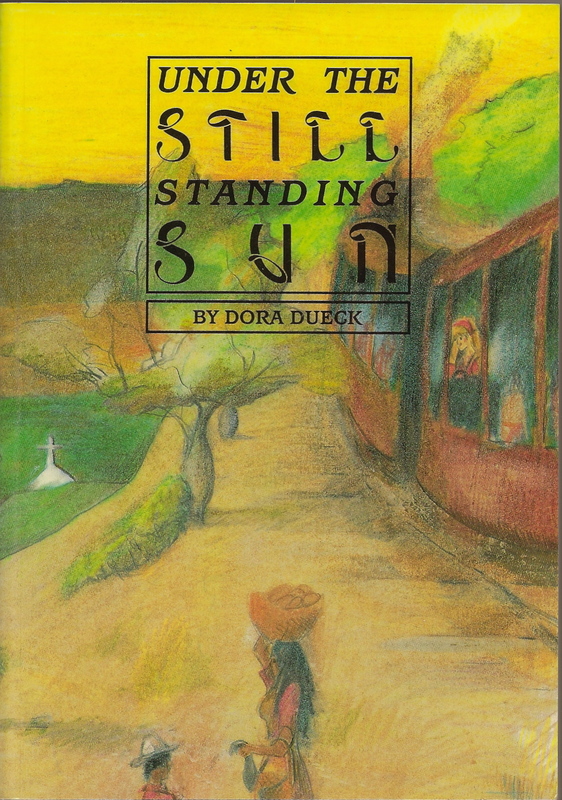 A non-fiction book, Margaret Fast with Dora Dueck, 1994. MA Thesis: “Print, Text, Community: A Study of Communication in the Zionsbote, A Mennonite Weekly, between 1884 and 1906.” (For MA, joint from Universities of Winnipeg and Manitoba), available here. October 26, 2013: Reading at High Plains Bookfest, Billings, Montana. October 17, 2013: In Dialogue event with Patty Grayson, Gimli, Manitoba. Reading in Dauphin, Manitoba, June 15, 2013. Reading in Winkler, Man. with Sue Sorensen, May 4, 2013. FictionKNITstas tour, Calgary May 28, Winnipeg May 31, Toronto June 1. 2 book club visits, winter/spring, 2013. Reading at Winnipeg celebration of the Toronto Women’s Bookstore, October 30, 2012. Saskatoon launch of What You Get at Home, October 22, 2012. Winnipeg launch of What You Get at Home, October 2, 2012. Reading at “An Evening at Margaret Laurence House” in Neepawa, Man., Friday September 28, 7 p.m. with Laurie Block of Brandon, Chris Rutkowski of Winnipeg, and a local resident reading from Margaret Laurence’s works. The event coincides with the launch of a new Neepawa writers group. Reading from This Hidden Thing in Abbotsford, B.C., June 6, 2012. Reading at “Speaking Volumes,” a benefit for Prairie Fire, May 12, 2012. Featured writer at Mennonite/s Writing VI festival, Eastern Mennonite University, Harrisonburg, Virginia, March 29 – April 1, 2012. Reading in the “In Dialogue: Manitoba Writers’ Guild 2011 – 2012 Reading Series,” April 2, 2012. April 17, 2011 at 8 p.m. Manitoba Book Awards at the Centre culturel franco-Manitobain, hosted this year by Catherine Hunter. This gala event is free and open to the public. 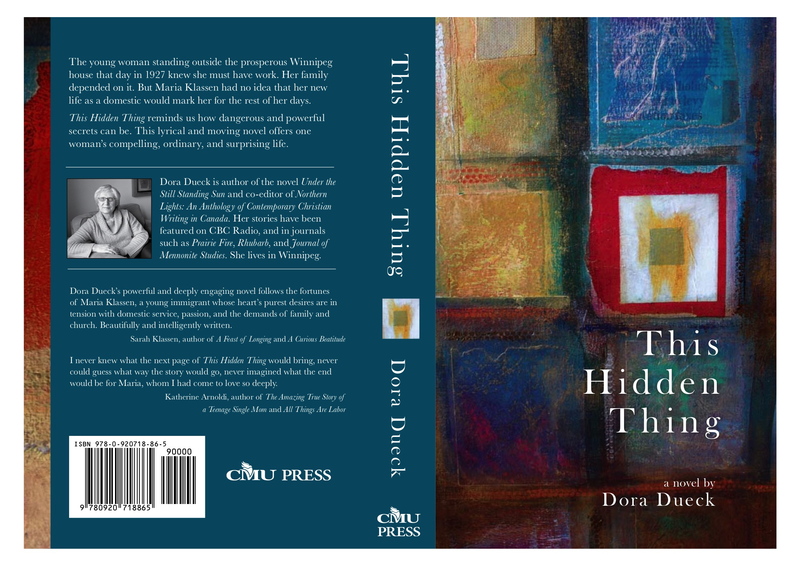 This Hidden Thing is shortlisted for the McNally Robinson Book of the Year Award and the Margaret Laurence Award for Fiction. Post-gala results here and here. On Thursday, April 7, 2011, I’ll be participating in the Margaret Laurence Award for Fiction Nominee readings at Aqua Books, 274 Garry St. Winnipeg. 7 p.m.
Sunday, April 10, 2011, a conversation with Keran Sanders about This Hidden Thing to air on CBC’s Morning Show, andpost at the Manitoba Scene website. Reading from This Hidden Thing at Mennonite Heritage Village, Steinbach, Man. Reading from This Hidden Thing in Winkler, Man. Here’s the Hidden Thing flyer with an overview, and below, the cover, front and back. February 7, 2010 Service of prayer and lament An inter-Mennonite group of volunteers will sponsor a prayer and lament service for the Manitoba Colony, Bolivia women and girls who have been victims of recent sexual assaults and abuse. The service will be held, Sunday, February 7 at 7 p.m. at Morrow Gospel Church, 755 St. Anne’s Road, Winnipeg. It is open to all and will include a free will offering for a new women’s shelter in Bolivia. I want to thank Dora, Abe and others for planning this vigil. A profound thanks for the words of love for and solidarity with the victims of these horiffic assaults and for their hurting communities. I am really looking forward to your new book – high on my list ! Just wondering if you are sister to John, my best man? Last I heard he was in Calgary. I grew up in Brandon and recall your parents in Carmen. Perhaps pass my email on to John. I really appreciated your comments about Anne Rice and the ‘house and room’ you live in. I am attending Covenant Mennonite in Winkler with Pastor Kelvin Dyck. Sorry to miss you reading in Winkler. I must confess that at my uber-cynical moments I think I am a recovering MB, but when I see the love that the Richmond Park MB shows my family as my parents wind up their years on earth, I value that community. And as I read your positition and hope for the hermeneutical direction of the MB church lean towards recanting my cynical attitudes about MB . . . .
Hi Dave, yes, John’s my brother, and I forwarded your email. Thanks so much for stopping by and taking the time to comment. I appreciate this. Re your last paragraph: I know what you mean, the sense of inner distance and yet leaning towards….. It’s encouraging to hear how the Brandon congregation responds to the elderly in their midst.